Yorkville is one of Toronto’s most dynamic and diverse neighbourhoods. It is an eclectic mix of luxury condominium apartment buildings, commercial office towers, five star hotels, theatres, gourmet restaurants, haute couture shopping district and picture-postcard Victorian homes. The commercial heart of Yorkville is located on both Yorkville Avenue and Cumberland Street. It is one of Canada’s most exclusive shopping districts. Locals and tourists alike love Yorkville for its jewellery and antique stores, high-fashion boutiques, designer shops, exquisite spas, and chic art galleries. The transition to Yorkville’s quiet residential pocket is gradual as Victorian houses shift from retail to residential uses in a seamless pattern that is uniquely Yorkville. It is roughly bounded by Bloor Street to the south, Davenport Road to the north, Yonge Street to the east and Avenue Road to the west, and is considered part of the ‘The Annex’ neighbourhood officially. Because of the increase in real estate value during 1980s and the 1990s, some residential homes were converted into high-end shops, art galleries, or boutiques. Other buildings have been demolished and replaced by new residential projects such as the new 75-storey One Bloor, a landmark condominium development at the corner of Bloor and Yonge Streets. The first five-star hotel in Canada was built in Yorkville decades ago, and other luxury hotels quickly followed. Named after the Town of York, as Toronto was originally christened, Yorkville was subdivided in the 1830s by a prominent brewer named Joseph Bloor (who gave his name to Bloor Street) and by Sheriff William Botsford Jarvis (whom Jarvis Street honours), who also founded the Rosedale neighbourhood. Yorkville was once an idyllic residential suburb where Joseph Bloor operated a brewery, northeast of today’s Bloor Street and Church Street intersection. Bloor and Jarvis purchased land in today’s Yorkville district, subdividing it into smaller lots. The village grew enough to be connected to Toronto by omnibus service in 1849. In 1883, Yorkville was the first village annexed by the City of Toronto. Despite being part of a large city, Yorkville has always maintained its own distinct identity. In the 1960s, Yorkville became the hub for bohemian culture and home to some of Canada’s most recognized musical talents, such as Joni Mitchell, Neil Young, and Gordon Lightfoot. In 1968, Rochdale College at the University of Toronto was opened on Bloor Street as an experiment in counterculture education. 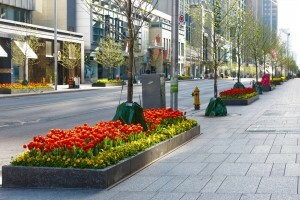 Bloor-Yorkville has since undergone many transformations and now enjoys its reputation as a dynamic urban centre and became a true shopping mecca in the 1980s and 1990s. As higher densities were eventually allowed by the City’s official plan, office towers and exclusive department stores displaced the local retail shops along Bloor Street. Many buildings were demolished and condominium developments were built, a process that is still continuing on the ever-changing Bloor Street. Yorkville now has international appeal, with world-class hotels and the most expensive condominium apartment buildings per square footage in Toronto. In 1994, the award-winning Village of Yorkville Park was constructed. 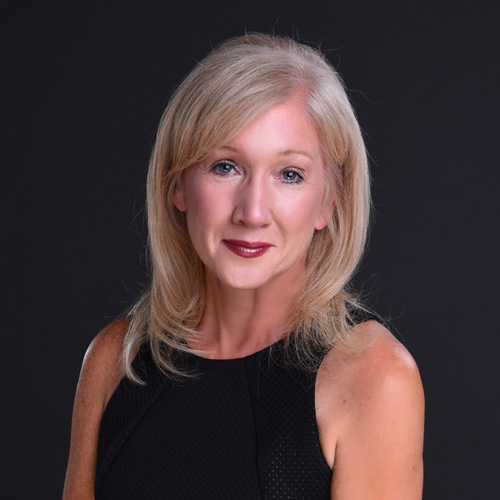 The turn of the last century saw the launch of Santé, the Bloor-Yorkville Wine Festival which is held every May, and in 2003, Yorkville saw its 150th anniversary celebrated by a gateway marker heralding the Village of Yorkville Park. Yorkville’s gentrified Victorian houses were built mostly between 1870 and 1895. These historical homes exhibit many decorative features including ornamental brick patterns, gingerbread gables, cast iron fences, and richly landscaped gardens. Many of Yorkville’s houses are listed on the Toronto Historical Board’s Inventory of Heritage Properties. The Yorkville landscape has changed dramatically in the last few years with the addition of a number of new luxury condominium buildings. Yorkville condominiums have the highest square footage values in the City of Toronto. These high-end buildings cater to the affluent lifestyles of the residents of this upscale neighbourhood. The Bloor-Yorkville Business Improvement Area has launched a $25-million initiative to update the street-scape from Church Street to Avenue Road. The objective is to create an enhanced pedestrian experience with widened sidewalks, mature trees, flower gardens, modern lighting and public art. Bloor-Yorkville is generally acclaimed as Canada’s most exclusive shopping district. Its many specialty stores, fashion boutiques, jewellery stores, antique shops and art galleries are a destination point for tourists, as well as Torontonians from all over the city. The Yorkville stretch of Bloor Street is often called ‘Canada’s fashion mile” as it features many high end international labels along with four upscale shopping centres. 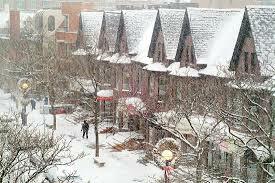 Yorkville’s boutiques, galleries and gourmet restaurants are located in pretty Victorian houses on Yorkville Avenue, Hazelton Avenue, Cumberland Street and Scollard Street. The Hazelton Lanes shopping centre at 55 Avenue Road features over 100 exclusive shops and restaurants including a Whole Foods, which offers a vast culinary array of take-out foods as well as nutritional items, organic foods and traditional grocery items. Pusateri’s, on Bay Street at Yorkville Avenue is famous for its prepared foods, meat and fish counter, and a delicious array of desserts and chocolates. When planning to visit the Royal Ontario Museum, Canada’s largest museum (opened in 1912), expect to spend long hours exploring its vast collections of cultural and natural history. As it shares grounds with the University of Toronto, the museum often collaborates with the university in research, and it was under the direct management of the university until 1968. The stunning entrance is the museum’s newest addition, The Crystal, designed by Daniel Libeskind, is one of the most impressive and breathtaking pieces of Toronto’s contemporary architecture, changing the Yorkville cityscape. It’s impossible not to notice the monumental crystal with its sharp crystalline form made of glass and aluminum points dramatically toward the sky. The Roloff Beny Gallery of the Institute for Contemporary Culture (ICC) within the ROM hosts contemporary art exhibitions and is located on Level 4 in the Crystal. Within the Crystal, you can also explore a gift shop, a cafeteria and C5 one of the best fine dining restaurants in town. Located just across the street from the ROM, the George R. Gardiner Museum is Canada’s only museum devoted solely to ceramic art. The museum was founded in 1984 by George R. Gardiner and his wife, Helen Gardiner, after the Royal Ontario Museum was unable to house their extensive ceramics collection. The museum’s permanent collection includes over 2,900 beautiful pieces from the ancient Americas and renaissance, as well as Chinese, Japanese, and European porcelain. The building was designed by Keith Wagland, and similar to the nearby shoe box–shaped Bata Shoe Museum, the Gardiner Museum should evoke a jewellery box full of ceramic treasures. Through a $20 million renovation in 2006, KPMB Architects turned the Gardiner Museum into an impressive piece of contemporary architecture. The Village of Yorkville Park located at 115 Cumberland Street, is a relatively new city park frequented by residents for strolls and picnic opened in 1994. The park features pristine landscaping and unusual design combinations that have already won many awards. Its creators, Oleson Worland Architects, wanted to reflect the diversity of the Canadian landscape by placing a variety of plants representing different regions of Canada into a distinct series of gardens. The frames of the gardens are symbolic of the lot lines of the row of houses that once stood onsite. The designer park features seemingly bizarre elements that work well together. For instance, a paved square of land dotted with pines growing out of circular benches is offset by metal archways among a row of crabapple trees. There is marshy wetland, a rain/icicle curtain, mist-emitting light columns, a courtyard filled with benches and chairs where many area workers enjoy their lunches in fine weather, bordered by a 600-tonne slab of billion-year-old granite known as ‘The Rock’ cut out of the Canadian Shield and transported to the park in pieces to be reassembled there! Ramsden Park was named after the active politician Joseph George Ramsden and is located at 1020 Yonge Street. It replaced the Yorkville Brick Yards which produced the yellowish bricks used in many buildings in Toronto during the Brick Yards’ years of operation from the 1840s to the 1890s. Ramsden Park now features a large artificial ice rink that is always busy during the winter, a softball diamond, and a tennis court. It is often used as a shortcut when travelling from Rosedale Station to the Annex and is a lovely walk! The Frank Stollery Parkette is the small wedge of green sanctuary that runs from Yonge Street between Davenport Road and Scollard Street. It was named after the local business mogul and police officer Frank Stollery, It is a lovely spot to enjoy lunch or a quick snack with charming wooden benches and beautiful trees. The Jesse Ketchum Park lies adjacent to Jesse Ketchum Public School and serves partially as a playground. It is open to the public and on a nice day you can always find a crowd here playing soccer. The Town Hall Square is a small garden next to the Yorkville branch of the Toronto Public Library. The square features oversized pots of flowers, trees, and hedges. It’s a very serene and beautiful corner of the city. By car, the Don Valley Parkway is approximately five minutes from Yorkville.